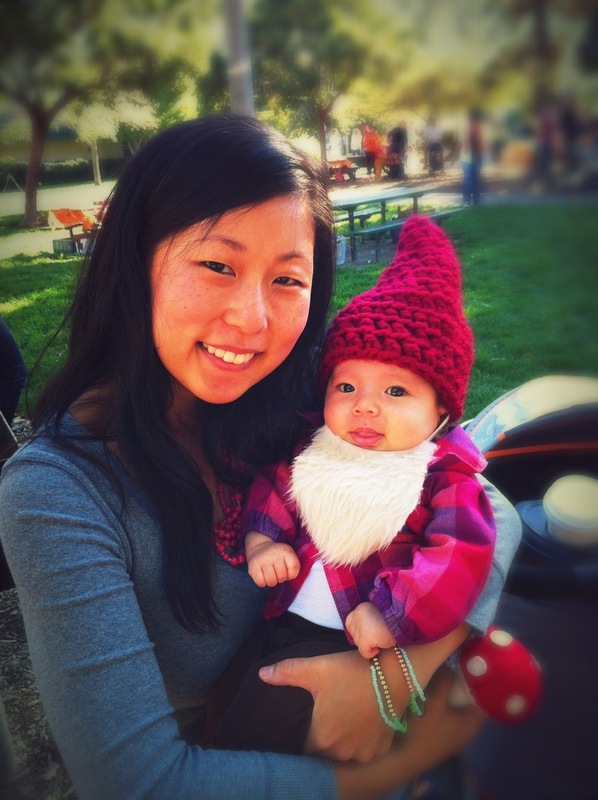 I never considered Halloween a holiday that is one of my favorites, but that all changed this year. In fact I can’t wait until next year already. 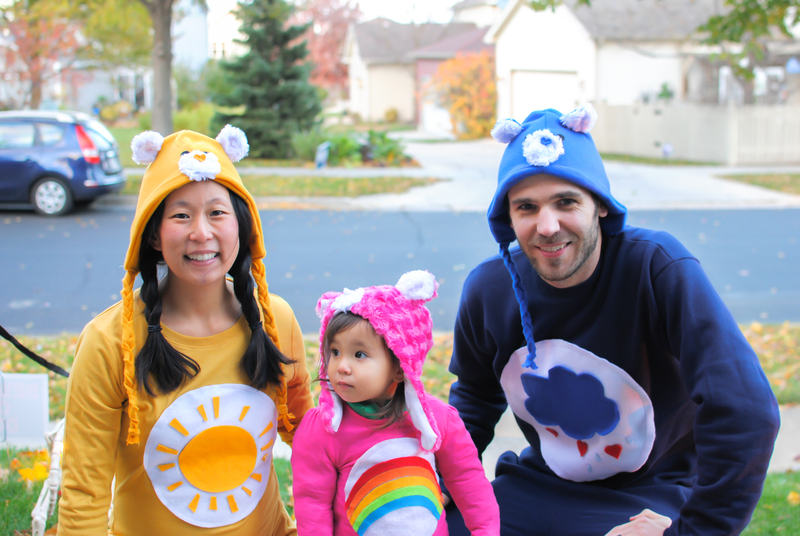 Our halloween was SO MUCH FUN! I just can’t explain how it feels, but when your little kid is having so much fun it just makes you have the time of your life too, it’s so contagious! I love making things and I have made all of Nola’s costumes so far. We will see, next year with two it may not happen, but if I have the time I hope I can because I really enjoy doing it! This year we wanted Nola to choose what she wanted to be so she would be excited and have fun while being dressed up. She really wasn’t sure what Halloween was all about still and so we would show her photos of kids in costumes and asked her frequently on what she thought. 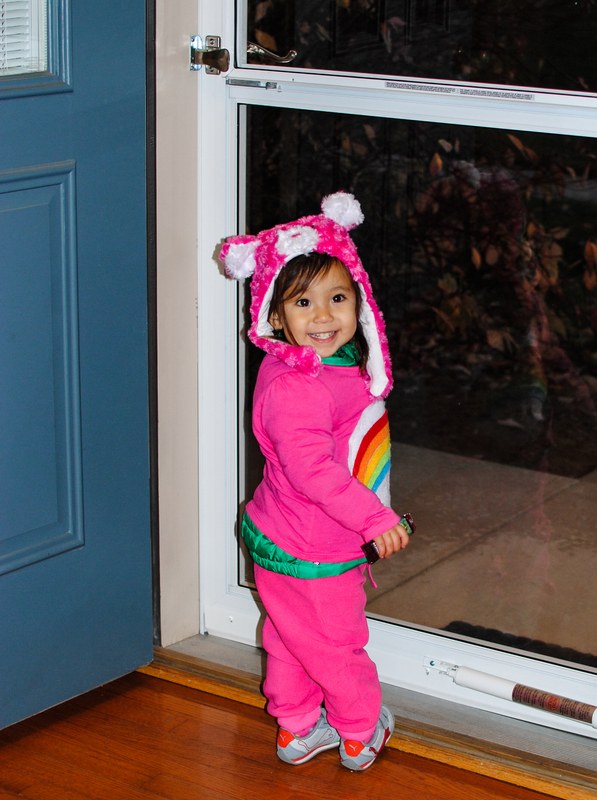 At first we thought she’d be an animal, but then decided on being a care bear. She seemed excited and it was settled! 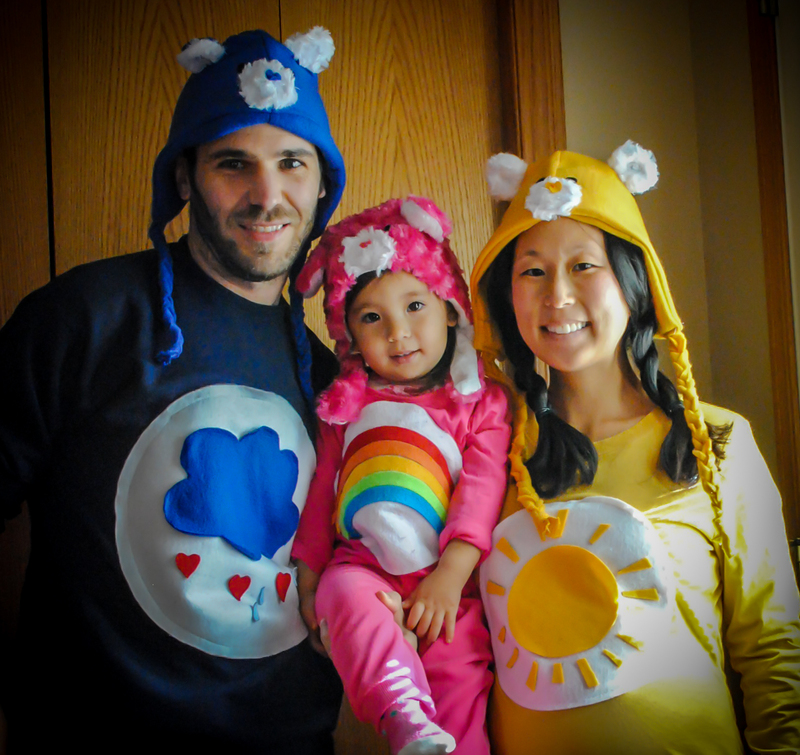 CJ and I do like to be witty with our costume selections, but since she is older now and has a mind of her own we are all about her choosing something that will make her happy. Would I prefer that she let us pick something more original, sure, but I think it’s important for her to choose even if that means she will be a princess for the next 5 years, aye, yai, yai. This was our first year living in a house in a family neighborhood. 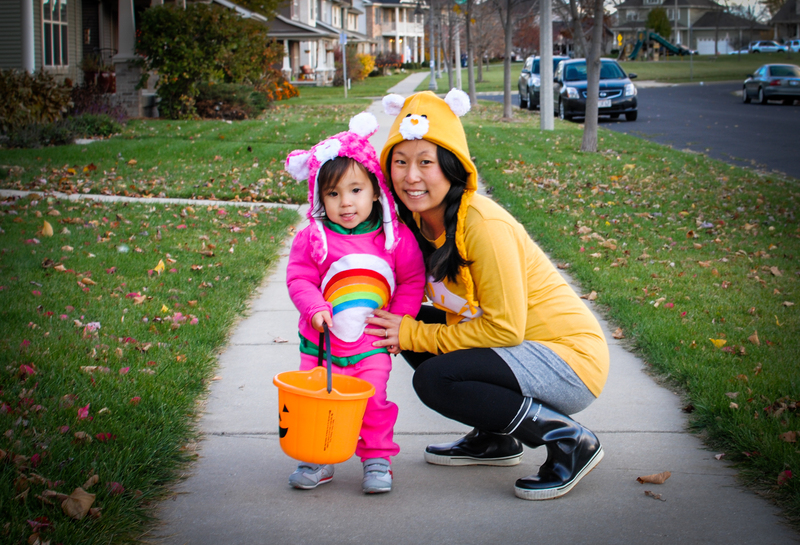 Even after looking online for the time for our neighborhood we weren’t sure when it started, if we had enough candy, what we would do when we were out trick or treating with Nola. All things important of course. Thankfully we figured it out and will be prepared for next year. We saw kids out and about around 5:30 and took Nola out then. It was so cold that evening and wanted to go as early as we could. We weren’t sure how she was going to be going to each house, but she loved it! Every time we left each house she would say, “this is fun!” Every time, bless her heart! We got back later and put our porch light on and got kids immediately. 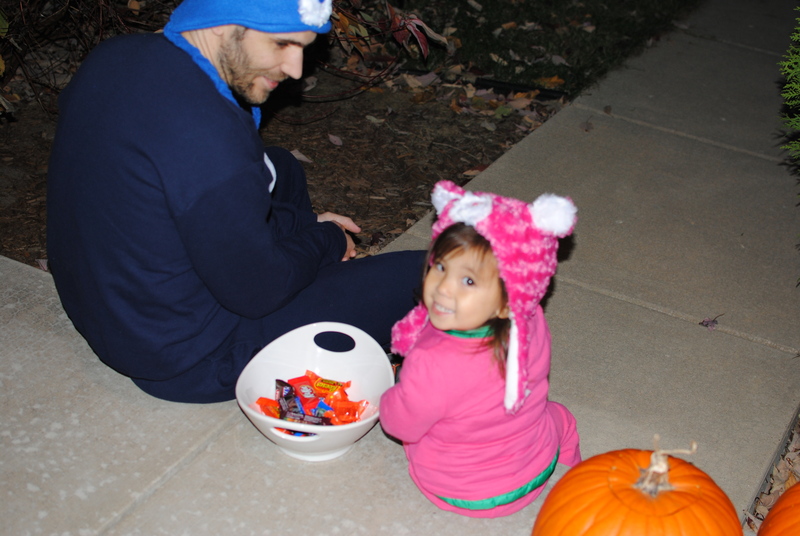 Let me tell you, Nola had just as much fun handing out the candy as she did getting it! So our fun night continued. She would stand by our glass screen door just waiting for the kids. Eventually CJ and Nola sat outside because she was too excited to be inside waiting for the kids, even though it was freezing out! Thankfully the layout of our place is all open so I was able to watch Nola and CJ the entire time while I was making dinner and still be part of the fun. The pumpkin candle was going and we just had the best evening. 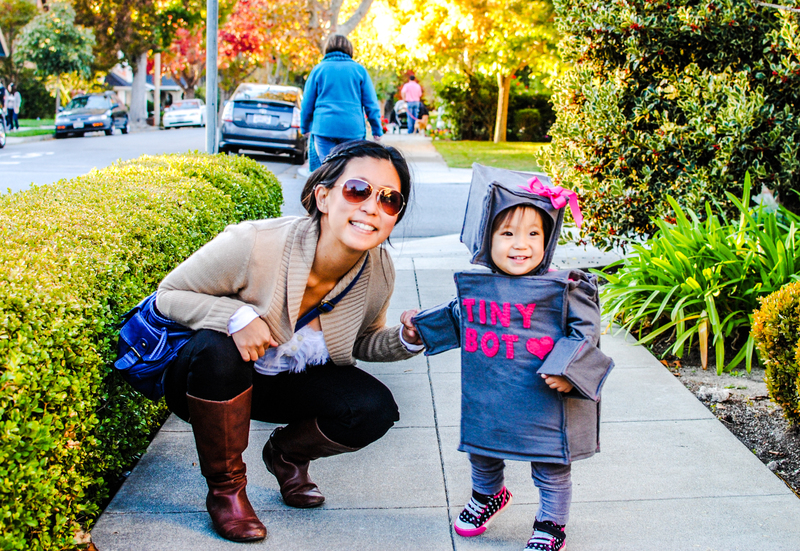 If you want to see more photos from our Halloween last year you can check it out HERE.